When you look at the enduring legacies of various Australian prime ministers Whitlam really stands out. In addition, there were all the changes in attitudes at the time that turned Australia into a better place. The real thing that brought him down was the OPEC crisis. The surge in energy prices and the government’s failure to work out started pushing up unemployment to levels that we would consider tremendous now but not so tremendous by the standards of the time. Comrade Gough has finally passed on and I fear that we will never know the like of him again. Many thanks, Brian for the above post, and wpd for the long list of achievements. In some commentary earlier today, I heard that his 1969 election campaign launch speech was 12000 words long and contained more than 60 policy proposals. Presumably, these and more were still there in 1972 when Labor swept to victory. Brian, I have to agree re Gerard Henderson’s contribution this-morning …. what a mean spirited performance it was. But never mind – he has been drowned out by an avalanche of generous comment from all sides of politics. A couple of my memories re the great man. In those days, leaders still held public meetings during election campaigns that anyone who cared to was able to attend. Nola and I went to a rally at King George Square where Gough was the star act. He stood head and shoulders above everyone else and his oratory was simply electric …. talk about leading from the front! At the 1972 election, Nola and I went to a polling booth to vote with our ‘It’s Time’ tee shirts on ….. we were turned away by the presiding electoral officials – no political material allowed in the polling booth. So it was out to the car park to turn our tee shirts inside out and we were duly allowed in to cast our vote. By the time the dismissal came around in 1975, I was working in Lao PDR on an ADAA (see above, later ADAB) project. They were worrying times. Malcolm Fraser was as yet ‘unreconstructed’ and made many statements at home, primarily pandering to prejudices of a domestic audience, that made our lives rather precarious. By that time, Lao was being run by the communist Pathet Lao government. But the project continued in one form or another for many more years and I was fortunate to visit as a specialist adviser for about one month in each of 1988 and 1989. My experience is that a huge amount of international goodwill (in addition to the tangible benefits) is generated through effective aid programs. So thanks for the memories,Comrade Gough – you left the world a better place …. and may you rest in peace. No, he was sworn in 5/12/72. By late 1970 Australia had also begun to wind down its military effort in Vietnam. The 8th Battalion departed in November (and was not replaced), but, to make up for the decrease in troop numbers, the Team’s strength was increased and its efforts became concentrated in Phuoc Tuy province. The withdrawal of troops and all air units continued throughout 1971 – the last battalion left Nui Dat on 7 November, while a handful of advisers belonging to the Team remained in Vietnam the following year. In December 1972 they became the last Australian troops to come home, with their unit having seen continuous service in South Vietnam for ten and a half years. Australia’s participation in the war was formally declared at an end when the Governor-General issued a proclamation on 11 January 1973. The only combat troops remaining in Vietnam were a platoon guarding the Australian embassy in Saigon (this was withdrawn in June 1973). But I forgive you, the ABC has been spouting that BS all day. Was this the Henderson/ABC interview ? Like Brian I benefited from the Family Law Act. My first marriage fell apart in 1976 and the divorce process was painful enough without having to prove fault. My overwhelming memory of Gough becoming PM was the feeling that the sun had come out from behind the Menzian grey clouds which had prevailed for my whole life. Your Keating quote nails it. John Curtin was my father’s choice as greatest PM ever (and Dad was a lifelong Liberal voter) but he died before I was born. For me Gough stands as the greatest PM of my lifetime. The current crop of apparatchiks is not liable to topple him from this position. wdp: A stunning list. My wife says the list for other prime ministers is pretty slim. The closest would have been Gillard. wpd, thanks for a great list. To 4 you could add establishing the Schools Commission. I believe he had a list that he ticked off. Worth mentioning also is his initial establishment of himself and his deputy Lance Barnard as a two-man cabinet to start implementing election promises. jumpy, yes, you’ve got it. The first interview with James Walter was also pretty negative. I know under Whitlam things were pretty wild but he got a hellava lot of things done. I like what Andrew Denton said. There was Before Whitlam and there was After Whitlam. You can’t say that about any other PM. Actually, you can, about John Howard, for example, and we’ll probably say it about Abbott, but not with any warmth and approval. (1) Giving Australia back its vision and its confidence – for a very short two-and-a-half years – but it did happen. And it can happen again, even in 2014. (2) Asserting Australian semi-demi-hemi-independence and thereby exposing the Yank Republican losers and dullards in control of British money rackets – along with their collaborators inside Australia – for what they really were …. our real enemies. (3) Giving my the opportunity – against all the discrimination, prejudice and obstruction – to get a university degree. Alright, it was the lowest grade of degree and it never ever opened any doors for me but at least I have one. I can distinctly remember the feeling of change and joy in the air when Whitlam won in 1972. Australia became different and better overnight. For many of us the Whitlam Government and Whitlam himself never lost that feeling of happiness despite the later scandals of 1975, which is something a lot of Whitlam’s enemies can’t recognise. On a personal level I have Whitlam to thank for my university education and for Medibank/Medicare. Without the latter I’d have been in oceans of debt for most of my life given my exceedingly poor state of health. Vale, Gough Whitlam. None of your successors, even Keating, have remotely matched up to you, though he did try to keep the light on the hill burning. Fair enough, but truth be told, McMahon brought the troops home other than a few advisers and Embassy guards. 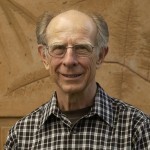 Paul Burns is somewhat of a military historian, perhaps he could have some input. Don’t know, Jumpy, and I have no books on Vietnam in my library to refer to. I understand it was the Whitlam Government ended our involvement in Vietnam. He certainly ended conscription and had all conscientious objectors released from jail, which is more to the point. 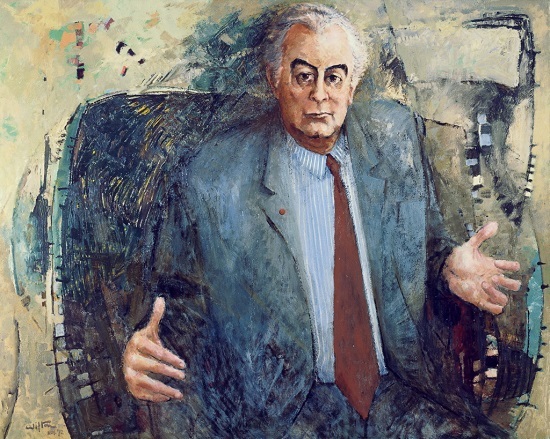 If you haven’t already seen it, have a look at John Quiggin’s assessment of Gough Whitlam. What is missing from the reporting is that Frazer was only able to block supply because Askin and Jo replaced Senate vacancies caused by the departure of Labor politicians with an independent (NSW) and a “Labor Member” picked by Jo because he was anti Labor. It is part of the reason why the dismissal should be seen as outrageous behavior by the “right to rule” conservatives. I do think Kerr has been treated badly by history. The scandalous behavior of Frazer put him in an impossible position. On the other hand I do think Kerr should have resigned immediately after Frazer became prime minister on the grounds that he (Kerr) had become a divisive figure in a job that was supposed to unify the country.